There will be few people reading this blog that will not have heard the expression ‘sticks and stones may break my bones but words will never hurt me’. A truism perhaps in a family setting but not a maxim that international diplomats necessarily subscribe to. Therefore, there was some irritation when at the G20 meeting in St Petersburg – according to the British Broadcasting Corporation (BBC) at least – a spokesman for Mr Putin, the Russian President, remarked to the effect ‘Britain is just a small island; no one pays any attention to them’. As is the case in diplomatic circles, the remark was rapidly disowned, even though any damage it might cause had already been done when the BBC’s chief political correspondent, Nick Robinson, not the Russian media, chose to release it. If Mr Robinson says that he heard the remark who can gain say him even if one cannot help but wonder how many throw away remarks a reporter hears in a working lifetime and how many they choose to report and why? However, as the context for this alleged remark was the start of the G20 meeting – where action against the Syrian regime was the divisive hot topic with UK taking a diametrically opposite view to Russia – the phraseology used may be indicative and instructive in respect of Russian geopolitical thinking and methodology. The ‘mine’s larger than yours’ basis for diplomacy, where virility and strength are lorded and weakness treated with contempt. In this case the recent voting down in the British Houses of Parliament of the Prime Minister’s motion condemning Assad of Syria for using Sarin gas on his own people not going unnoticed. The democratic aspects of the decision being largely lost on many Russian pundits, diplomats and politicians who, for whatever reason, cling to the belief that their friend and ally, President Assad, had nothing to gain from doing such a dastardly thing. Hence, whilst Mr Putin may privately hold ‘Small Island Britain’ in contempt he will be in no doubt that this small country on the fringes of Northern Europe still holds to itself major economic, diplomatic and military clout. The ‘small’ probably being the thing that most annoys and confounds him. After all, is not Russia many times larger in land mass and resources; is not its population over two and half times that of Britain? Yet this small island nation has still managed to diplomatically and militarily punch above its weight because of its history of world engagement and the values it holds and defends. The latter entitling and empowering Great Britain to have a permanent seat on the United Nations Security Council (UNSC); a leadership role within the World Trade Organisation (WTO), World Bank, G8 & G20, European Union (EU), The Commonwealth and North Atlantic Treaty Organisation (NATO) as well as an enduring special friendship with Russia’s main rival, the United States of America (USA). Galling in the extreme. Therefore, viewed through Russian eyes, anything (even a disowned disparaging remark) that diminishes Britain on the world stage – cuts her down to size – is of geopolitical advantage to Mother Russia. The Syrian débâcle – coupled to Britain’s perceived (arguably unnecessary) steadily growing diplomatic and military decline – looking like weakness, thereby offering Mr Putin the perfect diplomatic opportunity to attempt to drive a wedge between Great Britain, the USA, the EU and NATO allies. However, what Russia fails to realise, and the British public must be made to realise, is that in world affairs population and geographic size are less important than real influence, capability and above all the will to defend core values and interests. In the case of Great Britain, ranked 7th on the league of world economies, 3 places higher than Russia, these attributes are the result of historic engagement, not isolation; sound moral judgement in the face of legal sophistry; not equivocation; national courage when the numerical odds are unfavourable; not timidity and the knowledge that British values and interests meld with the international majority and not the vocal suspect minority. All of the above attributes have been historically exercised by Great Britain albeit not without fearful cost. The nation has, at various times, expended a considerable amount in blood and treasure to ensure independence of thought (freedom) and to defend the rights of other less fortunate nations. And whilst it is quite reasonable for all states within a United Nations context to demand an equal voice, the reality is, when the hard yards have to be gained, manpower found and funds made available for peacekeeping, humanitarian aid or peacemaking, it is, in the main, the same few nations – Great Britain to the fore – that step up to the plate. 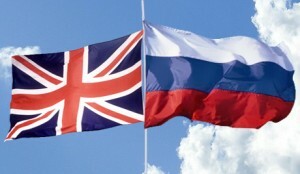 In the case of UN funding, ‘small island Britain’ contributes 5% of the total; larger Mother Russia half that amount. So when Mr Putin (cheered on by some in Britain too) pushes for more Russian involvement in international discussion and decision making, invoking international law as his bench mark, we might first ask where, outside parochial spheres of influence, Russian finance, diplomacy and armed response have been a force for good? Other than acting as a hand break on the UNSC, what causes have been championed by Russia in the last decade other than their own and – along the way – those of dictators like Gaddafi, Saddam and Assad? Russia is nothing but hypocritical in justifying her UNSC veto since, when it suits her, she has acted without any reference whatsoever to that council. Since 1945, Russian forces have invaded and conducted military action in Hungary (1956) and Czechoslovakia (1968) in support of the Brezhnev Doctrine which justified military intervention in any Warsaw Pact member state where socialism was threatened, and later, Afghanistan (1979 -1989) in support of the Soviet backed regime. Then in the post-Soviet-era Russia conducted aggressive military operations in Chechnya (1994 -1996 & 1999 – 2003) in a counter insurgency role and Georgia (2008) ostensibly in support of the ethnic Russians in the contested region of South Ossetia? Notwithstanding the alleged legal right under which all these incursions were self-justified, under what UNSC mandate was Russia acting when it intervened in these countries? It may be argued that in the case of South Ossetia in 2008 that the 2005 UN protocol covering the ‘The Responsibility to Protect’ (R2P) had been invoked. It is a debatable point as R2P still requires UNSC authority. However, in the aftermath of the original UK/US/French proposal for military action in Syria, which led to the ‘small island Britain’ remark, R2P was most certainly being unsuccessfully invoked. Sadly the British PM did not make his case convincingly enough in the UNSC or in the British parliament. However, if he had researched a little harder he might have quoted the following: “We must all accept that we cannot abuse the concept of national sovereignty to deny the rest of the Continent the right and duty to intervene when, behind those sovereign boundaries people are being slaughtered to protect tyranny”. Nelson Mandela, to the Organisation of African Unity (OAU), 8 June 1998, Ouagadougou, Burkina Faso. The UN and its Security Council members seem to have some way to go before the potential of R2P as an effective international weapon against tyranny moves from the talking shop floor into realisable action. In the meantime, ‘small island Britain’, undaunted by crass taunts from dubiously motivated nations, must continue to argue for what is right. Perhaps by invoking the wise words of Nelson Mandela in a world context and asking the question: “If unanimous consent of the permanent members of the UNSC is the exception not the rule is it not time for the UN Secretary General to seek UN General Assembly international approval for a system of UNSC majority consent to action by ostensibly abolishing the right of veto”?